Today, we welcome Elizabeth St.John, author of The Lady in the Tower, a novel set in the seventeenth century. Heads up, folks, Elizabeth will be giving an Author Talk at Lydiard House as part of the Swindon Festival of Literature on May 4th, 2017. I don’t believe it is that much of a stretch to think that Sir Walter and his half-brother Adrian Gilbert traded medicinal recipes, nor that Lucy St.John would keep a record of any precious curatives that came into her possession. For her to then pass these on to her niece, who shared her passion for botany, gardens and curatives, would a natural occurrence. 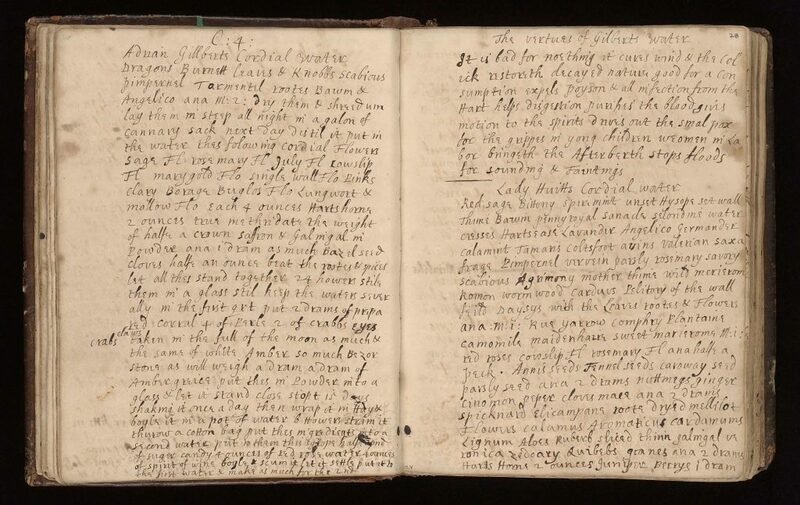 The recipe book, which is archived at The Wellcome Library in London, contains recipes designed to help a knowledgeable and educated woman manage the health of her family, servants and livestock. Relying on a great deal of herbal wisdom, as well as the more exotic ingredients found in the London apothecaries, Lady Johanna’s book is a testament to the importance placed on remedies, in an age where so little was still known about the body and its infirmities. When I decided to use extracts from the book to illustrate Lucy’s learnings in my novel, The Lady of the Tower, I was fascinated to discover that many of the herbal properties and therapies Lady Johanna recommend are still used in pharmaceutical production today. The St.John country estate, Lydiard Park, was the location of Lady Johanna’s gardens. Here she maintained a regular correspondence with her estate manager, requesting fruits, vegetables and supplies to be transported on an almost daily basis to her London home. She also issued strict instructions on plantings and harvesting, ensuring that her medicinal and produce gardens operated at peak capacity. I returne yu my thanks for yrs & beg yr pardon for trobleing you wth that paper wch I suppose to be as much nonsence as I se his practise to be who made it we have taken the best advice for my son we could think of but a Friend of his much more likely by his example to bring him to such a desease then by his judgment to find out a man fit to cure it commended this man to him the man warants he will effect a perfect cure & we thought it reasonable to satisfie my son with a short tryal but I find he takes a way as unlikely as hitherto unsuccesful for he gives him such things as purg him that whereas he used not to goe above 5 ties he goes 9 & his Gripes returne with violence & he lays downe this for a Rule that he must purg a way the Humore & so strengthen his Stomach we find in his purges Aloes & in his Tomach strengthners wormwood, either of wch I think very hot & improper for him & we find his strength & his Appetite much abated since the use of them, yet he begs of me to let him try a little more wholly against my own sence. The only thing I can think of is to have three Drs & a chirurgion & govern him by what they agree upon & Sr it would be a great charity in yu & a great favor to me if yu pleased to be heare for I should be then confident they durst not impose upon my Ignorance for I know Dr Gibbones (who must be one) has so great a vallue for you that he would doe his best that he might have yr good oppinion whenever yur occasions cal you up my coach shall attend yu either at the Green Man or where yu please & I beleve & hope Battersea Aayre may be of as good advantage to yr Health as any other whatsoever because our soyle is so good. My Brother mends but so slowly that he does not yet arise every day. I shall let him know of my Lady Mashams great favour in inviteing him to Oates but I have been beforehand in perswadeing him to come hither but at presant he is only fitt for his chamber. We heare noe news only K Wm made choyce of an Irish Gentleman to cary a present of his of 4 fine Horses to the Du of Bavaria at Newport he swam the Horses over & carryed them to the K of France ther is a report that the French are coming before Mastrech [W]th a Hundred & so thousand men tht ther Fleet is out & has chaced one of our men of warr home & that an Almanake maker in the Fishery of Naples has sd we shall this yeare have a victory at sea over the K of France & take some great Towne in France. I doubt I shall tire yu therefore give me leave to subscribe myselfe. It was typical of Lady Johanna’s style to mingle symptoms, curatives and social commentary all within the same breath. Leafing through the pages of Lady Johanna’s book brings far more to life than simple curatives and medicinals. 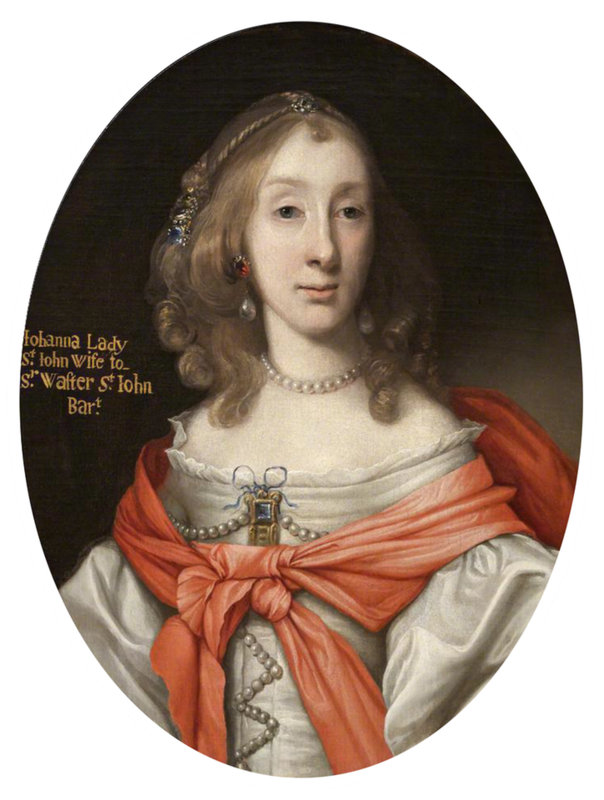 Along with her recommendations, endorsements and wide-ranging ingredients, Lady Johanna speaks to a common bond across the centuries – the concern for health, hope for treatment, and the rewards of recovery. Elizabeth St. John was brought up in England and lives in California. She has tracked down family papers and residences from Nottingham Castle, Lydiard Park, to Castle Fonmon and The Tower of London to inspire her writing. Although her ancestors sold a few mansions and country homes along the way (it’s hard to keep a good castle going these days), Elizabeth’s family still occupy them – in the form of portraits, memoirs, and gardens that carry their imprint. The Lady of the Tower, Elizabeth’s first novel, a Discovered Diamond and a B.R.A.G. 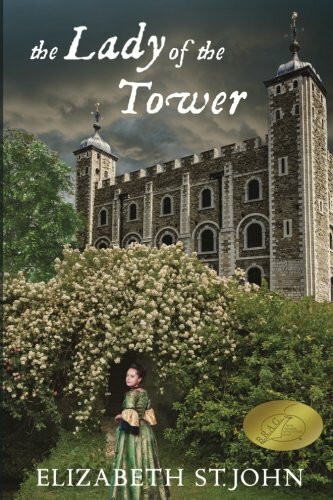 Medallion winner, is on sale on Amazon, and at the Tower of London. She is currently finishing up a sequel, which takes her family into opposing sides in the English Civil War. I’m inclined to think you could cover most of the troubles described with ginger, garlic, tansy and sage, but then I’d be chary about using crab’s eyes taken at any time of the moon. Still, messing about with chemicals is one way to keep men occupied. It is interesting that they hit on things still used today but crab’s eyes? really? I love the font you use in the notes and letters! please please please what is it called and is it horribly expensive? Hi Sarah! Thank you! I really don’t know because my web developer made it! I’ll try to find out. Many thanks! I write epistolary novels as a change sometimes and finding a font which both looks like a real hand and yet is clear and readable is a challenge. Fascinating … I’m a great fan of the Gilbert family, and suspect the recipe from Adrian was written when he was at Wilton House running Lady Mary Sidney Herbert, Countess of Pembroke’s famous laboratory. Would you have a date on that? Hi Sally – how interesting. So if we triangulate dates, Raleigh was in the Tower with Lucy St.John in 1618 from his capture to a couple of days before his execution. That is possibly when he would have received the recipe from Gilbert, and passed it on to Lucy.